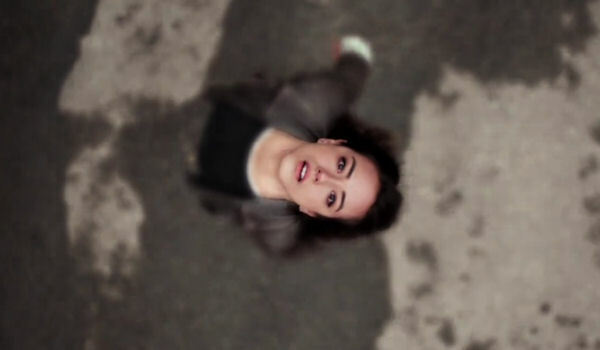 Agents of SHIELD Recap: Days of Future … Future? With the introduction of more superpowered characters, Agents of SHIELD has been dipping its toe in more sci-fi based stories. In its latest episode, AoS jumped in with both feet tackling the Mother of All Sci-Fi topics: time travel. After touching the homeless dude camped out in his alley, a regular Joe store owner has a vision of his own death and starts screaming for Daisy to come rescue him. The attack unfolds just as the store owner saw. The homeless dude is an Inhuman and touches Daisy just as HYDRA scoops him up in their fisherman’s net. The team does all they can to keep Daisy’s foreboding vision from coming to life. The main story of the week centers around Daisy, which is testament to just how much the character and the actress (Chloe Bennet) has grown. It has not been that long since a Skye-centric episode was reason to roll your eyes and question your Tuesday night viewing choices. The transformation into an Inhuman has given Daisy a greater depth and appreciation of SHIELD’s mission which was on great display here. Knowledge that she is headed into a situation that does not work out well for her does not cause Daisy to waiver in the slightest. This mission is to save Charles, our prophetic alley-dweller who we learn took to the streets to save his wife and young daughter the pain caused by his power’s horrific visions. Despite a fake science flip book demonstration about the immutability of time from Fitz, Coulson’s papa bear instincts take over. He effectively grounds Daisy and puts May in the lead. The team devises a training scenario to shave precious seconds off Daisy’s vision in an effort to tell the future to screw itself. Everything goes swimmingly until May’s ex Andrew show up at HQ with the news that he is one transformation away from being Lash forever. That twist puts Daisy back on mission. Everything unfolds as was envisioned, just not as it was originally perceived. Hey, Honey-Glazed Hive is back and he’s been through Keanu Reeves’ closet, y’all. While the being formally known as Ward looks menacing in his overly flappy overcoat, he puts that menace to good use. Not only is Hive carrying around Ward’s body, but it also inherited Ward’s grudge against Coulson. This set the scene where Hive, Malick and the Chairman tell the chairman on a prosthetics company (the same one that made components for Coulson’s early robot hands) to sell or tonight’s secret ingredient will be melted face. This was also Hive’s opportunity to teach Malick a lesson about perceived power and real power. As a world level political operative and leader of HYDRA, Malick seemingly has unlimited power at his disposal albeit through intermediaries. Thanks to a pair of cybernetic Hulk arms, Hive gives Malick the opportunity to feel what exercising the power of life and death with your own two hands feels like – Malick’s martial art style of choice is Brewmeister Smith from Strange Brew. After Malick takes some lumps from Daisy, he comes to a stark realization about power – there’s always someone who has more than you. * Can we get some kind of web short or comic giving us the backstory on Agent Doug? Maybe he has the biggest crush on May and getting thrown around by her during training fulfills a fantasy of his. Or better yet, he’s been a part of the team the whole time and it’s been his unheralded strokes of genius that have really saved the day time and time again, a la Penny from Inspector Gadget. * This episode was full of tension and also managed to kick you right in the feels while you were stressed out. Hearing Charles’ noble backstory from his wife was heartbreaking, as was May and Andrew’s coming to terms before he become the monster one last time. The real tearjerker came when Daisy, dazed and bloodied from her confrontation with Hulk Hands Malick, promises to protect Charles’ young daughter. * FitzSimmons rekindled their flame in the embers falling from a burning billboard. They held hands because the vision (and all of SHIELD fandom) told them to, awwe. * Shouldn’t Coulson hand out a list of required viewing? The original Terminator is obvious, but I think Coulson would also be like a Dirty Dozen or Guns of Navarone kind of guy. * Get better soon Mack and bring your shotgun-axe with you when you come back. * Daisy’s final vision of the future is one we’re all too familiar with. It’s the Quinjet explosion in space with the floating crucifix from the midseason premier cold open. We know it’s YoYo’s necklace, but who will it get passed to? Despite my personal reservations with time-travel-esque storylines, this episode did a lot right. It’s been a while since we’ve seen the team put their heads together to solve a problem and we got a fair bit of that here. While it’s fun to see different pairings, seeing the whole group at work is important too. This episode moved a lot forward (especially Daisy and Hive/Ward) even though it was centered around re-living the same five minutes over and over again. For discussion of other comic book TV shows please join Craig Wack and Tatiana Torres for the Agents of GEEK podcast updated every Friday and now on iTunes.